The American Heart Association’s Hampton’s Heart Ball holds it’s 20th annual event at Bridgehampton;s Hayground. Evening Under The Stars drew 500 attendees and raised over $600,000 in a star studded glamorous evening t further it’s core vision of introducing heart health guidelines and aiding in the fight to reduce cardiovascular disease and stroke. Author and philanthropist, Jean Shafiroff received the annual Humanitarian with Heart Award who became aware of the importance of heart health after her own father suffered a heart attack at 51 but lived until 94.Dr.Frank Spencer,MD, Professor of Surgery, at NYU was honored with the Distinguished Service Award after almost single handily has changed heart surgery approach in the New York area. Glamorous evening co-Chairs included Consuelo Vanderbilt Costin, Nicole Noonan, Tracy Stern and Randi Schatz. Lonnie Quinn, Chief Newscaster and Kristine Johnson, News Anchor, both of CBS News. A ultra luxe live auction, conducted by Robbie Gordy of Christie’s included a heart shaped ruby and diamond ring and a VIP Ski trip in Aspen. Dinner was catered by Garden City Hotel. Some Hampton luminaries and committee members included sponsors Bert and Meredith Cohen,John and Terry Totorella, David and Jill Kandell, past co-chairs Paola and Arnie Rosenschein, Star Jones, John and Margo Catsimatidis, Dottie Herman, Debra Halpert, Cassandra Seidenfeld, silver sponsor Dr, Larry Chinitz and numerous well known medical doctors. 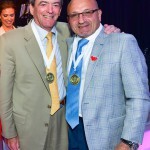 Main sponsors included East End Cardiology, Avenue Beach, The Derfner Foundation, Jean and Martin Shafiroff, Dan’s Papers and Hamptons Magazine. 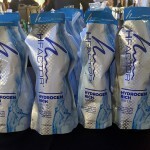 Product sponsors included the new HFactor, hydrogen infused alkalized H20 and pink Tequila passion. A fun and festive time was had by all!